Over the last decade, we’ve seen an explosion of amazing design content, partly fueled by the popularity of online marketing and small business startups. Everything from logos and flyers to website icons and Facebook banners- the world of graphic design is more in demand than ever before. While many students are choosing to major in the design fields in college, the majority of the talent market is coming from post-graduate people looking to expand their expertise, round out their skill set, and break into this fresh and exciting industry. Many community colleges and online institutions offer certifications in graphic design, and it may be difficult to choose the one that’s right for you. Luckily, at the Digital Workshop Center (DWC), you can be sure that your instructors are real people working in the fields that they’re teaching about- unlike some online schools. They also provide straightforward and practical education at a seriously affordable price, along with offering financing plans so you can stop worrying about the money and focus on your blossoming career! If you’ve been considering a certification in graphic design, here are three great reasons to sign up for classes at DWC today! It’s a crowded job market out there, so any professional skill you can add to your resume brings you serious field advantage. As more job seekers are shifting to include freelance and contract work, the successes are coming to those with the most real-world certifications and hands-on experience. A four-year university degree is a nice thing to have, but focused skills in marketing, design, website building, and multimedia often have an even bigger pull with prospective employers. More businesses are coming to see the benefits of hiring someone with a variety of usable skills, not just an expensive diploma. The Advanced Graphic Design Certification will spruce up your resume and is a worthwhile investment for anyone between jobs or looking to make a career change. 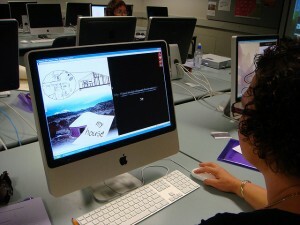 Hands on instruction in Adobe Photoshop, Illustrator, and InDesign will make you stand out above the crowd. Since design work is something you can do from the comfort of home, many artists and creative professionals have taken to selling their work on the side. Some have even found full-time success this way. Websites like Creative Market and others like it provide a platform for talented individuals to sell their graphics and mockups directly to the public. There is a potential customer pool out there for anyone proficient in digital photography, logo design, icon design, website building, and online marketing. And the best part is you can create your designs once, package them for download, and continue to sell them over time- all you need is the initial investment in your education and an entrepreneurial spirit. Everyone from working professionals to students to stay at home parents can take advantage of the high demand for graphic design. And who said art could never pay the bills? Small business owners are often overwhelmed by all the aspects needed to launch and run their ventures- beyond the initial inventory acquisition, there are dozens of other jobs that must be accomplished and positions to be filled before true success can be achieved. Many of them end up contracting with professionals to help with those things, and graphic design is one of the biggest aspects where people look for assistance, often at a significant cost. 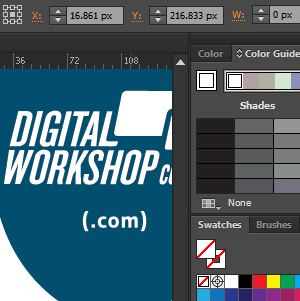 But wouldn’t it be easier if you could create your own logos, marketing materials, and website? More and more businesses owners are coming to think so. Having the skills and power to fully control your media presence and marketing is worth more than you may realize. The investment in your graphic design certification with DWC will pay you back ten fold when you no longer have to rely on an outside design firm for all your materials. Self-sufficiency is the new avenue to success in today’s market, and the more skills you can bring to the table as a small business owner the better. If you’ve been contemplating a career change or simply want to learn something useful, graphic design is and probably always will be a great choice. As more and more commerce is taking place through a computer screen, the need for proficient designers will only continue to grow. So take the plunge and get started today!